Whereas during summer I want nothing on my face, I whip my hair into a perpetual bun because it's too hot and generally eschew lengthy skincare routines with a firm hand, thanks to cooler temperatures and dry skin, if there's any season to indulge in a little extra pampering and preening, it's autumn. 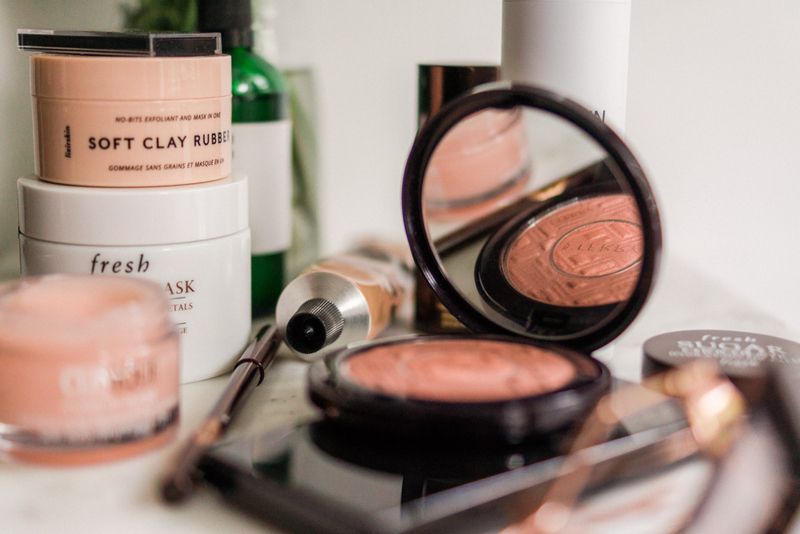 Feel free to have a little peek at last year's post if you're so inclined, as there are plenty of products I still use/love - and most importantly are still available! Skincare is always a good place to start so shall we? The change in weather and seasons always requires a little tweaking with my skincare routine - my skin seems oilier in summer, drier in winter, and frankly, the lack of sweat etc as the weather cools down makes me far more inclined to want to apply moisturisers and emollients without them sliding off my face. As far as cleansers go, I'm back on oil cleansers (from exclusively micellar waters in summer) and in particular, the Night Shift from Disciple. (I've tried a few products from the Disciple line and I like the ethos. Created to sort out 'stressed skin', the facial oils are great too.) The cleanser contains so few ingredients, a mixture of nourishing, vitamin rich oils and alpha hydroxy acids, I've really enjoyed using it. 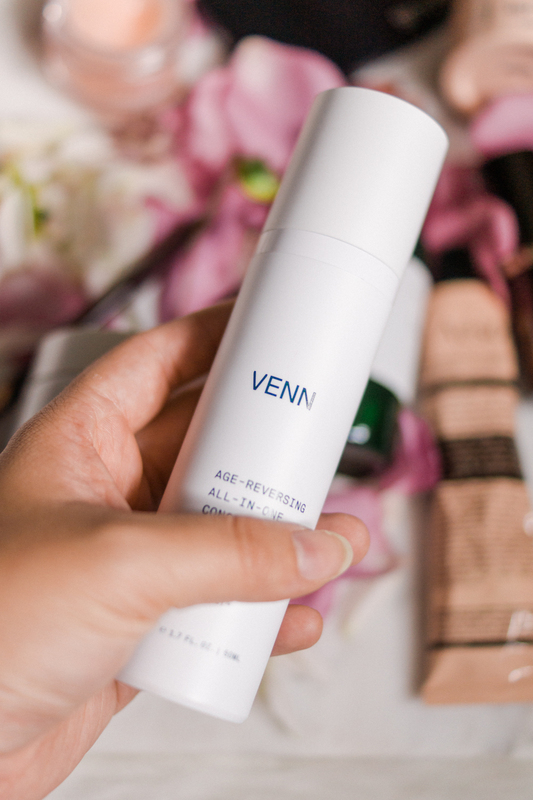 I think the Venn All-In-One concentrate is the perfect lazy-girl skincare product, with the beauty of being both easy and effective in equal measure. It's texture is lovely - sort of balmy and comforting. With lots of good ingredients, it leaves my skin feeling plump and soft - I love applying it in the evenings when I don't want to bother with a lengthy routine and just want to get into bed. 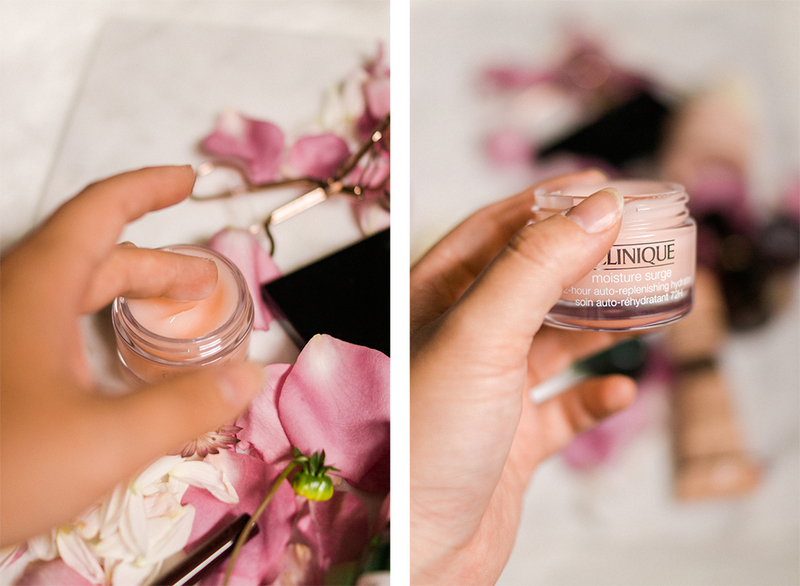 In the mornings, I've been using Clinique's Moisture Surge - the perfect, light formula to hydrate and prep before makeup (or these days, not so much - I'm trying to have more makeup-free days!). 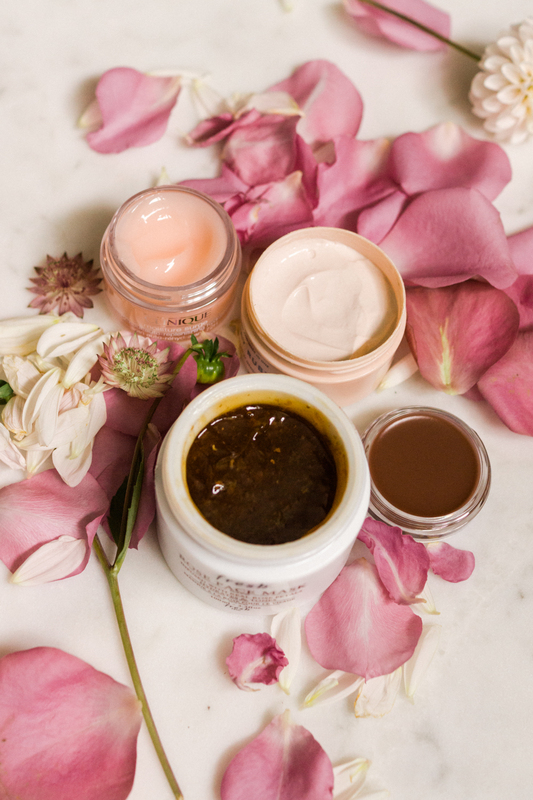 For masks and treatments I find myself most gravitating towards my Fresh Rose mask. Hydrating, soothing, gentle, it's the perfect match for my skin. I've not been exfoliating as much lately (for better or worse I don't know) but I have been trying to be consistent with Lixirskin's Soft Clay Rubber and their Vitamin C serum, both of which are working well for me. Lixirskin - another range that I really adore - I think maybe I'll have to do a separate post about skincare lines I think are wholesomely excellent, let me know if you'd like to see it! And I have to pay a little more attention to my lips and hands as they seem to be the first points of dryness, with my Fresh Sugar Chocolate balm for the former and Aesop Ressurection Balm for the latter. Both emolient and nourishing. I must give a quick nod to Instytutum's new and improved line. They recently sent me a few bits to try and I felt like I hadn't tried them long enough to include in this post but I've had wonderful first impressions - more in my Stories and Instagram feed. Let's have a quick run through the makeup. I've circulated back to a couple of foundations (Tom Ford Foundation Stick and Hourglass' Vanish foundation) I've used before but weren't compatible for my summer skin, they're great for this cooler weather though. I've been used to much more sheer bases, it's a bit of a shock almost how much coverage these have. No bad thing though because you can use far less product, and they work as concealer too. In fact, I'd say these are two foundations that require a lot of sheering out for staying power and a good finish - apply a lot less than you think you need. I've chopped and changed a lot with liners and eyeshadow. A winged liner, matte-only eyeshadows, no eye makeup at all. But at the moment my preference is a good, dark brown kohl liner and there are few better than CT's Barbarella Brown. Deep, rich and long lasting. 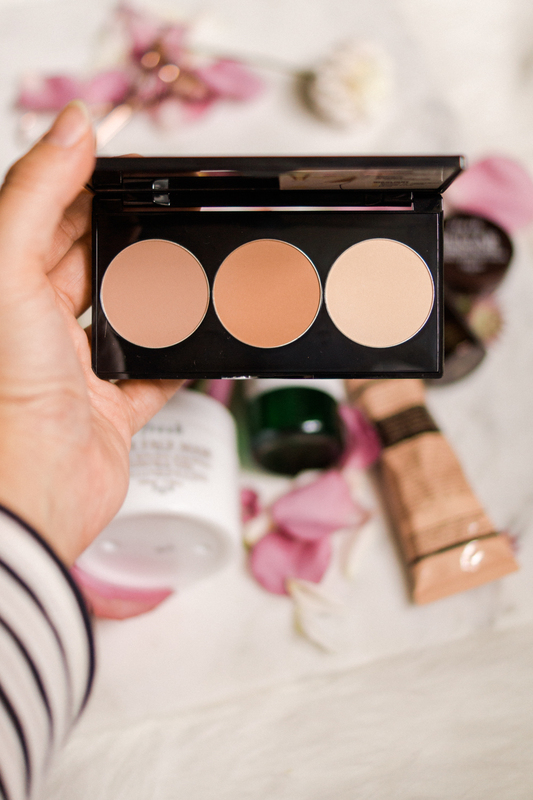 I'd say for.... at least the entirety of this year I've not indulged in contouring and highlighting, just using blush instead, but I recently had the chance to try Smashbox's Contour Kit and the mix of the bronzer and contour shades seem absolutely perfect for a middling skintone like mine. It makes me want to put in the effort to add in that extra step - a glowing review. 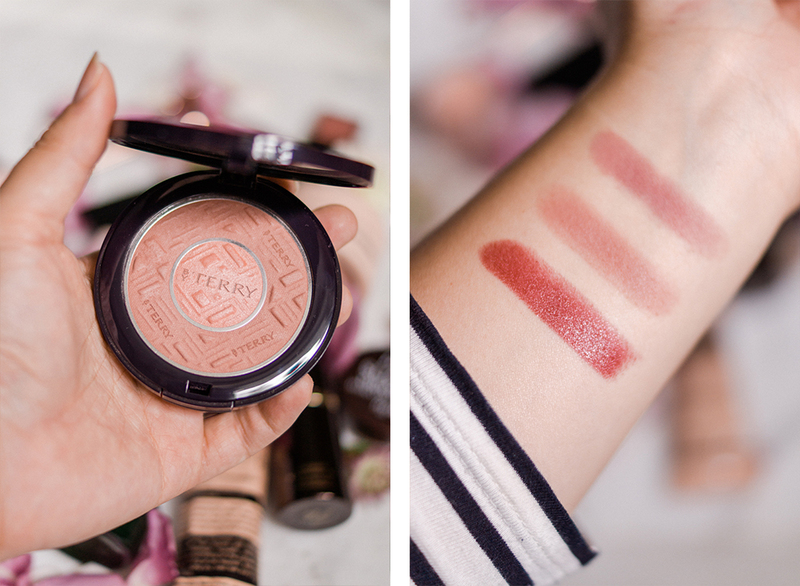 And whilst we're on cheeks, I'm gravitating towards four particular blushes that I pick and choose at random. My ByTerry Sun Desire (last seen here), Becca's Flowerchild, Bobbi Brown's Sand Pink and La Vie En Rose by Surratt. Finishing off with lips, a couple of lipsticks that I think are lost in a sea of available lip products, are MAC's Dubonnet (a darkish, warm red that sheers out beautifully) and Dior's Ambitious Matte (a sort of.. perfect berry tone). Both lovely. Some products mentioned in this post were sent to me, and some links may be affiliate. Both of these things in no way impact my views, which remain entirely my own. Thank you. 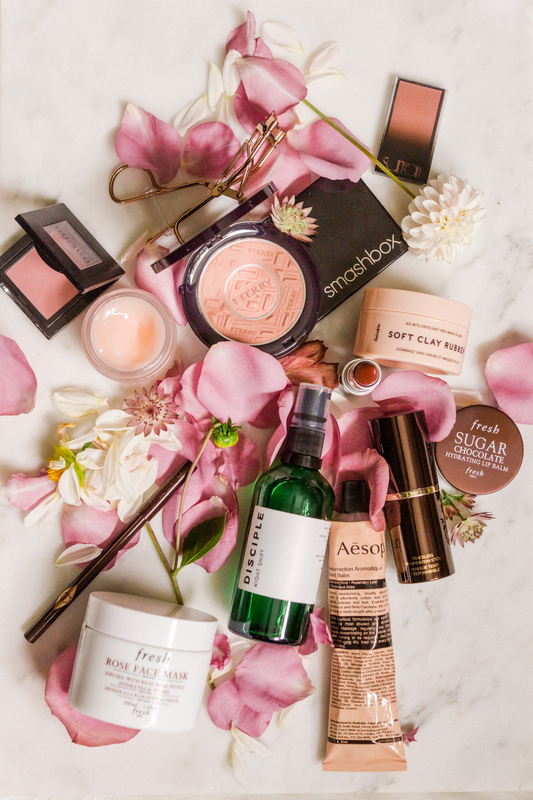 There are so many goodies in this post, I love it! Really want to try more from Clinique, love their brand. I love the Clinique Moisture Surge, it works wonders for my skin! 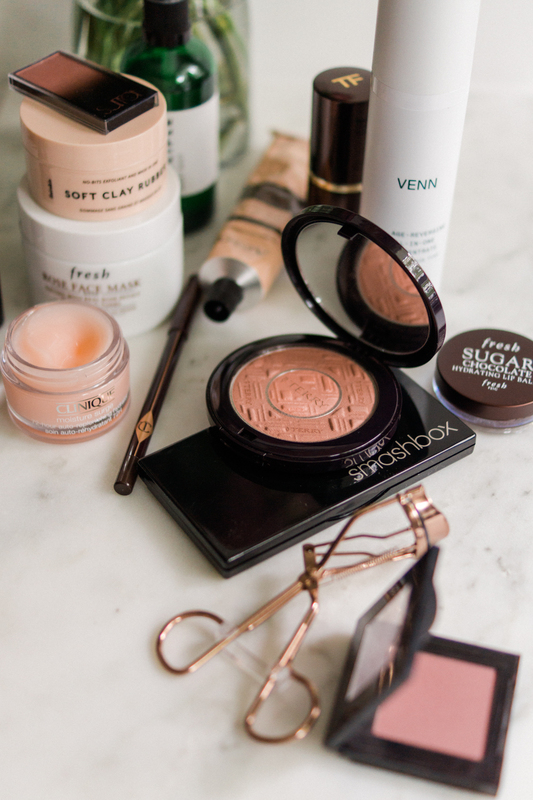 I don't think I've tried any of these products except the Surratt blush. His blushes are among the best! The Tom Ford foundation stick is on my wish list, but I want to get matched at a counter first. Lovely picks!